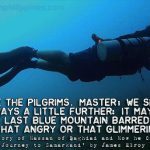 Scuba Diving – Why The Need For Rules, Boundaries & Limitations? 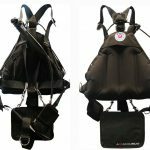 Technical versus Recreational Scuba Diving: Why is there a need for Rules, Boundaries and Limitations? There is currently a strong debate about the need to differentiate between recreational and technical scuba diving. 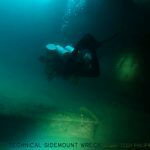 Some people believe that ‘diving is diving’ and question the need to draw a distinct boundary between recreational and technical diving pursuits. In doing so, the issue of agency-imposed boundaries and limitations on recreational divers is also brought into question. All scuba diving, to a greater or lesser degree, consists of a human body descending to a given depth for a given time. During that time, the body absorbs nitrogen and becomes, to some extent, saturated. On ascent from the dive, that nitrogen has to de-saturate and exit the body. 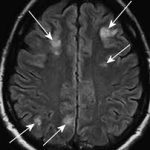 The rate of that de-saturation has to be controlled, otherwise, the nitrogen will form harmful bubbles inside the body. Divers control that rate through applying an appropriate speed to their ascent. In very simplistic terms, the slower the ascent, the more nitrogen we can de-saturate. Recreational scuba diving is generally considered to be diving that permits a direct ascent to the surface, at a controlled constant and pre-determined speed. i.e. the diver does not need to stop and wait on the way up. Having direct access to the surface enables a high degree of safety for the diver – if they have a problem, they can abort the dive and exit the water immediately. In contrast, technical scuba diving is generally considered to be diving that involves the need of one or more ‘stops’ or pauses in the ascent to permit off-gassing to a level of saturation that won’t cause bubbles to form in the diver. Alternatively, it may involve a physical obstruction of the surface, such as diving inside a cave or shipwreck. Direct access to the surface is not possible. In decompression, the diver is essentially ‘trapped’ underwater for a calculated amount of time whilst de-saturation occurs. 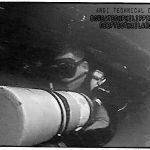 This inability to immediately abort the dive and ascend directly to the surface means that the diver must be capable and prepared to deal with any contingencies or problems that arise during the dive. It is a far more dangerous situation to be in. The difference between ‘recreational’ and ‘technical’ seems pretty clear-cut. Recreational divers are taught to abide by a ‘No Decompression Limit’ (NDL) – a boundary of saturation that still permits direct access to the surface. Technical divers have no such boundary – they complete ‘decompression’ dives in which they plan to complete de-saturation stops during their ascent. Technical divers have no NDL. However, the borderline between these dives is actually quite a grey area. Modern divers have access to a wealth of technological aids, such as dive computers and pc dive planning software, that permit them to calculate and control their dives. Those aids do not limit divers to an NDL, although the boundary is still provided as information. Furthermore, the NDL stated on X computer may be shorter than one stated on Y computer. Two identical dives could be deco or non-deco depending on the specific computer or calculating algorithm used. 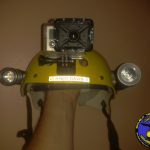 Scuba diving equipment is also very reliable – so the frequency of equipment malfunctions doesn’t form a strong argument for abiding by a no-stop ascent profile. Many divers now use larger capacity gas cylinders – permitting longer and deeper dives – with enough gas to complete stops if they were required. Dive profiles with computers are often multi-level…so divers can complete a form of decompression through staging their dives at increasingly shallower depths. Is that really so different than conducting a decompression ascent profile? 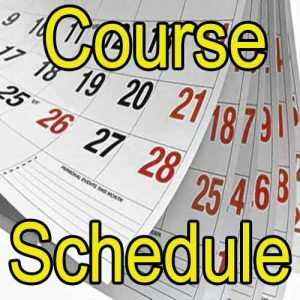 “There is a very important difference between the U.S. Navy tables and tables like the PADI Recreational Dive Planner that explains this [the existence of an NDL with PADI, but no NDL on Navy tables]. Not many people know this. I will try to explain it briefly, but I will warn you that the full details are pretty technical. “Tables are based on the well-established theory that different tissues absorb and release nitrogen at different rates. These rates are called halftimes because the rate is not constant. As the tissues get closer and closer to equilibrium, the rate slows down. We approximate that through the concept of half times. A 5-minute tissue will be halfway to equilibrium in 5 minutes, and then halfway from that level in the next 5 minutes, and then halfway from that level in 5 more minutes. A tissue is considered to be at equilibrium in 6 halftimes, so a 5-minute tissue is at equilibrium in 30 minutes. When a basic table is constructed, it has to use a theoretical tissue that it believes is most critical for planning. This is called the controlling tissue. When the U.S. Navy tables were constructed, its numbers were based on the 120-minute theoretical tissue, because it was believed that this tissue was most appropriate to that kind of diving. That is why the Navy tables “wash out” in 12 hours (6 X 120 minutes). 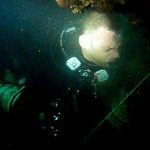 When PADI did its extensive research leading to the RDP, it reasoned that recreational divers did not dive the kinds of dives that Navy divers do. Recreational divers are frequently more shallow, and they do shorter dives. It tested divers on those kinds of dives. Their research showed that when diving within the limits you see on the RDP, the 40-minute tissue actually controlled the dive (and subsequent surface interval). To be more conservative, they selected the 60-minute theoretical tissue for the RDP. That is why the PADI tables “wash out” in 6 hours (6 X 60 minutes). Thus, we can see that the key distinction being who the tables were designed to serve. PADI focus on the concept of the NDL because they understand that the scope of their training system needs to be balanced by always permitting their divers to have direct access to the surface. NDL is just a conceptual way of admitting that their training system is limited. Thus, their trained divers are limited. In contrast, Navy tables were designed for divers who are subjected to a training system of much broader scope. The fact that many recreational agencies use US Navy tables, or derivatives, is quite inconsequential – the model of those tables was designed for the requirements of military diving. PADI tables were designed specifically for recreational/sport/fun diving. We can see differences in the controlling tissue compartments and how those differences affect the theoretical desaturation of the divers who use them. Understanding this concept, it is easy to see the logical pros and cons of each approach. The Navy tables permit deeper/longer dives – but also require far more substantial surface intervals to desaturate the slower controlling tissue compartments between those dives. That’s appropriate for how the Navy operate. One dive – deep and long – achieve a specific mission – get back on board – diving is finished. PADI tables limit the depth and duration of dives – but the shorter controlling compartment permits far shorter surface intervals to desaturate. 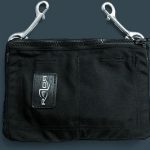 That is perfect for recreational divers, who typically conduct multiple shallow/short dives per day. 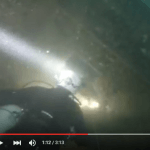 ‘Fun’ divers don’t want to be sitting on a boat for hours between dives. The emphasis of PADI recreational diving tables is to permit multiple, shallow, dives per day. They do that by using a shorter controlling tissue compartment. PADI focus on a diving ‘style’ that tries to keep divers away from saturating the slower tissues. 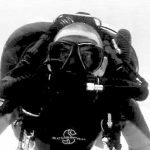 In addition to being more suitable for the demands of recreational divers, the added ‘benefit’ of this ‘fast-tissue approach’ is that it permits divers to sufficiently de-saturate by only completing a controlled, paced ascent to the surface. No stops are allowed. Ensuring the immediate availability of the surface goes a long way to ensuring the safety of recreational divers. The inherent safety provided by that factor enables PADI to provide training that is cheaper, quicker and less intensive than that which would be required if slow-tissues/staged ascents were a requirement. 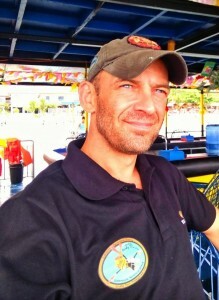 So – if you do a PADI course you have to accept certain limitations with the tables that control the dives. 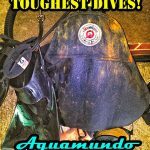 Your dives will be shallower and shorter, but they will always allow direct ascent to the surface and they will allow you to conduct multiple dives per day without excessive surface intervals. The training needed to conduct short and shallow dives, where ascending to the surface is always an option, does not need to be as intensive or wide-of-scope – so it’s cheaper, quicker, more convenient and less demanding. However, modern technology is throwing a spanner in the works of that well-balanced system. Specifically – the evolution and popularity of diving computers. Most divers now use computers to control their dives. Table diving is generally a thing of the past. Divers are now able to dive for as long or as deep as they wish. 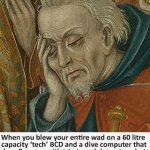 Dive computers don’t provide many limitations – they just calculate based on whatever you choose to do. The limitations of using the tables have been eliminated… however, the limitations of the training remain. The recreational training system assumes that divers will dive short, shallow profiles and not require staged ascents – and that’s what it prepares them for. Basic training for basic diving. That diving was named ‘recreational’. Agency ‘rules’ weren’t needed before the advent of dive computers – reliance on using the provided tables served to enforce those boundaries. All that the recreational scuba agencies can do now is provide recommendations about the limitations that divers should adhere to. 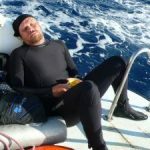 We can see that there is an obvious ‘disconnect’ between the principles and concept of training and the potential practices of modern leisure divers. Is it any wonder that some experienced divers criticise that training as being ‘inadequate’ for the tasks of keeping divers safe? Or is it a failure of the training, or a failure of the divers to understand the limits of that training? 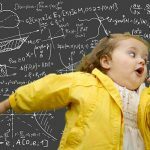 To be honest, I don’t think it matters what method a diver uses to calculate their dives; PADI tables, Navy tables, laptop software or dive computers with X, Y or Z algorithm. WHAT MATTERS is that they recognise the concept of their training and understand what circumstances that training is designed to prepare them for. Training dictates diving boundaries – not the method of calculating nitrogen saturation. The tail shouldn’t wag the dog. The tools shouldn’t dictate the work. Some divers argue that people should use their dive computers to exceed the recommended limits of their training program. 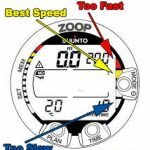 To me, that’s like arguing that motorists should drive their cars to the maximum obtainable speed – that speed limit should be dictated by the capability of the vehicle, not the capability of the driver. Motorists do training that provides a capacity to drive under certain, limited, conditions. Their safety is ensured by the imposition of limits. Buying a Ferrari doesn’t make you a better driver. 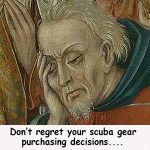 Buying a Dive Computer doesn’t make you a better scuba diver. Where the capability of the tool exceeds the capability of the user – then artificial boundaries need to be imposed. This is a situation we now see in recreational scuba diving. The simple fact is… if a diver wants to do decompression or deep dives… then they need to do appropriate training. PADI and similar agencies don’t provide appropriate training for that in their recreational diving programmes… they have instituted boundaries. To cater for those divers who want, or need, to extend beyond those ‘recreational’ boundaries, they did create the concept of ‘technical diving’. 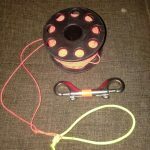 The training, standards and demands of that training are, in no way, similar to that provided for recreational scuba diving. It may be provided by the same agency, but it is a totally different concept. 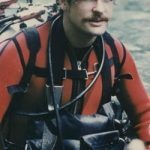 Do we need to define and differentiate between “recreational diving” and “technical diving”… from a training/limitations perspective… of course we do. It’s a totally separate entity for recreational diving. It is based on different concepts, requires different training…and has different limitations. It uses different models for off-gassing. It uses different equipment and gas mixes. 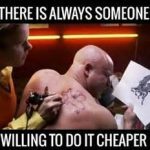 It has different procedures. It has different dangers. It has different goals and objectives. Diving is diving. That is true. You go underwater… you saturate nitrogen, you come up, you de-saturate. That’s common throughout scuba diving. Every dive is theoretically a ‘decompression’ dive. Simple? Yes, but that’s an over-arching definition of what we do. However, it cannot be an over-arching definition of how we approach it…or how we train to do it. THAT is where the definitions of recreational and technical diving come into play… and that is why divers should respect the rules, boundaries and limitations that apply to recreational diving. 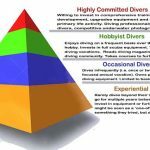 Are You A Prestigious Diver?